A liquid byproduct of the transformation of steam into vapor is steam condensate. The condensate is commonly found in a variety of applications involving steam processes. Steam, however, plays a significant role in select industries including oil and gas, power generation and coal. 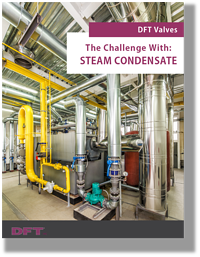 In our eBook, we discuss how condensate issues can be identified and prevented.